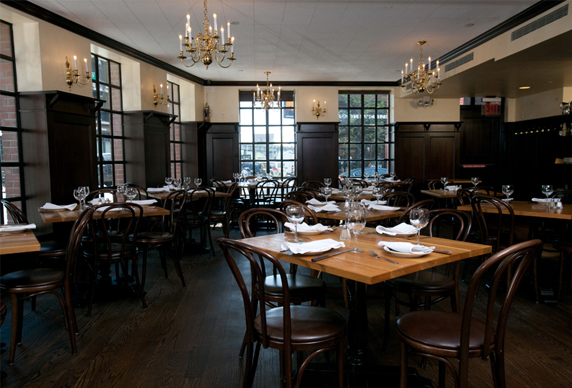 Peter Luger Steak House — ALIX is an international membership of dynamic and engaged women professionals. Opened in 1887 as “Carl Luger's Café, Billiards and Bowling Alley,” Peter Luger has today earned its rank as a neighborhood legend. The classic restaurant doesn’t seem to have changed much, remaining cash-only and with waiters in bowties. The carefully-selected meat is strictly-USDA Prime, dry aged on-site and then broiled to juicy perfection. The portions are big so it is preferable to have someone to share with and the Steak for One can easily feed two. You should reserve at least a month in advance, and even then, they usually only have seats available at 4 or 9pm.